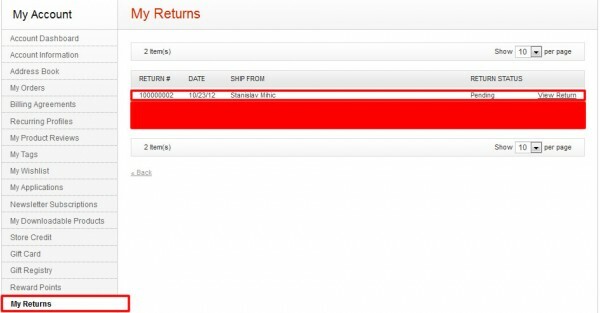 In this part of blog post series we will try to explain basic workflow and how-to enable and start using one of default features of Return Management Authorization in Magento Enterprise edition. From customer’s side, after we made purchase and realize that product is not what we expect or maybe size is wrong, then we need to request return from My Account section. After Merchant review request under administration authorize it and process, then we can receive exchanged product, store credit or get refunded. First we will explain few steps form Admin, Merchant side. In Administration -> System -> Configuration -> Sales -> RMA Settings set to “Yes” under “Enable RMA on Frontend“. Now Customers can request RMA from their Account section. But before enabling RMA there is few things that you can do before activating this service. On the same page under settings there is option if you want to use another address for receiving Items when RMA is requested. By default it will be used address populated under “Shipping Settings -> Origin“. 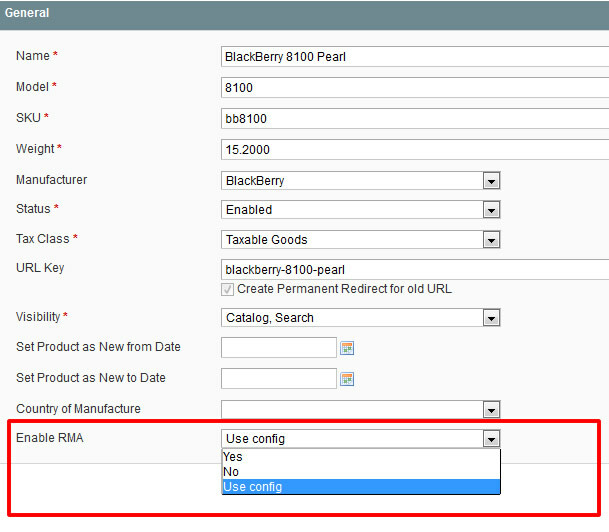 Also, there is option on product level where we can individually enable or disable RMA for each product. 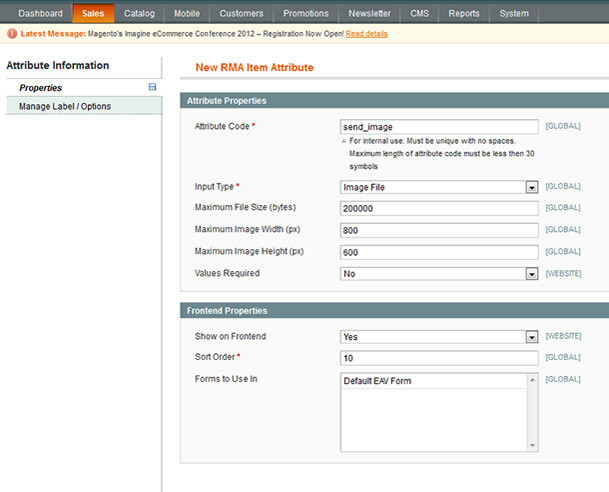 Under Sales -> RMA we have two options, “Manage RMA” where we have list of all RMA requests, and second very interesting option “Manage RMA Item Attribute“. 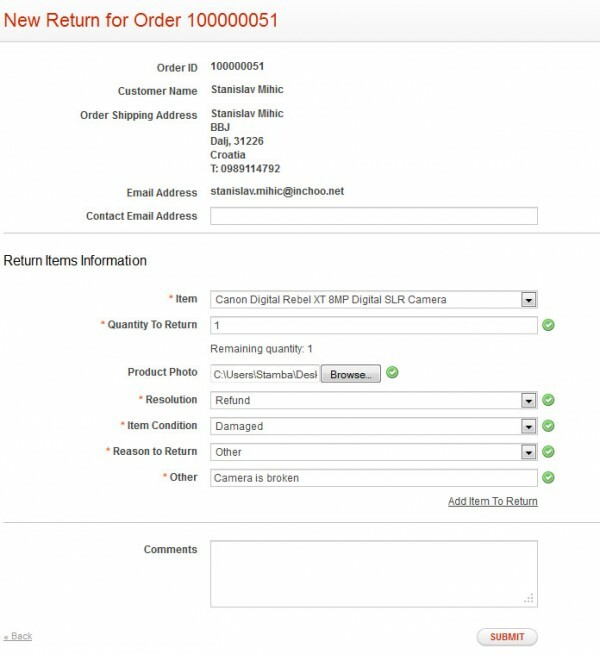 Under RMA Item Attribute we have listed few previously created attributes, resolution, condition… Let’s say that we want to add new attribute, which will enable for customer to send image of received product, if it’s maybe broken during transport or something else. Now customer will have option under form to upload and send image. From customer’s perspective we will submit RMA request trough My Account section. 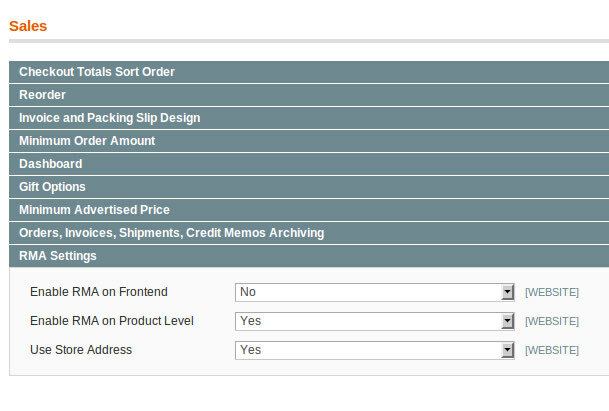 From left menu item, select My Orders, select one of previously ordered item, view order, in the top right corner there is a link “Return“. Now we must fill return form. 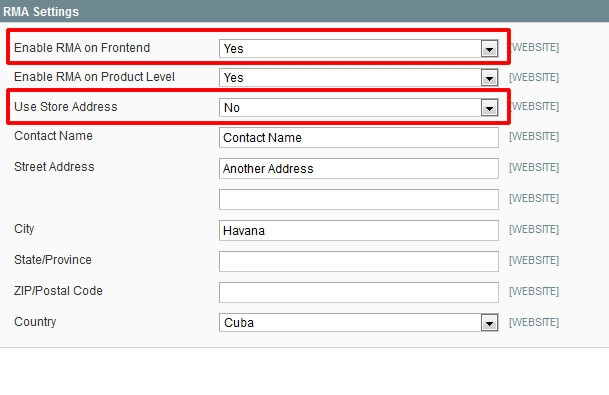 Under Return Items Information, there is few fields which we need to populate. Item, quantity, our custom attribute Product Photo, Resolution, Condition, Reason to return, additional comments. All these mentioned attributes can be changed under administration, sales -> RMA -> Manage RMA Item Attribute. After we submit request we can review status under menu option “My Returns”. Currently status is “pending”. From Merchant side we can check new RMA request under Sales -> RMA -> Manage RMA. In next post we will go trough RMA request resolving steps. Hope this article helps to understand basic workflow from enabling RMA trough to submitting RMA request to merchant. Hi how do you setup the no. of days an item is allowed for return? Can u please tell how to implement the above RMA in seller account in magento. I have RMA in customer and admin page , i need to implement the same in seller account s well. Anytime soon will you write the next post? Nice post…After pushing all changes on production I am getting 404 error when I click in back-end on Manage RMA. Great post I have been thinking about this for a while. Great post! Our client wants to know if there’s a way to automatically authorize RMA without having the customer have to wait for authorization before they send the item back. Do you know if it’s possible to remove that step?